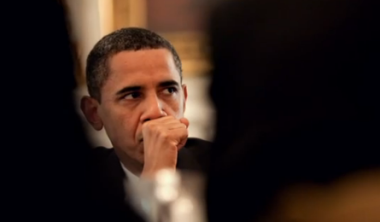 The president's campaign film avoids inconvenient truths on health care, auto bailout. The film says “17 million kids could no longer be denied for preexisting conditions,” implying all of them were being denied care before the federal health care law was passed. But that’s the total number of kids who could potentially be denied coverage or charged higher premiums if they sought coverage on the individual market. It also implies that Obama has reined in the costs of health care premiums — which “had been rising three times the rate of inflation,” as the film says. But the law hasn’t reined in premiums, which still rose three times more than inflation last year. In fact, experts say some of the recent growth was caused by the law, which requires more generous coverage. On the auto bailout, the video says automakers have “repaid their loans.” But taxpayers are still on the hook for half of the $80 billion in federal aid. It also suggests that Bush gave away $13 billion to auto companies without demanding action on their part, when, in fact, Bush required them to come up with the so-called economic viability plans by March 31, 2009. Obama then used the plans to force the companies into bankruptcy and force the restructuring of the companies. The Obama campaign on March 15 released “The Road We’ve Traveled,” a 17-minute film narrated by actor Tom Hanks and directed by Davis Guggenheim — two of the best in their fields. Guggenheim directed the 2006 documentary “Inconvenient Truth” about former Vice President Al Gore’s efforts to educate the public about climate change. Hanks and Guggenheim, however, ignore some inconvenient truths in the campaign video that otherwise would muddy its can-do narrative about President Obama and his administration. 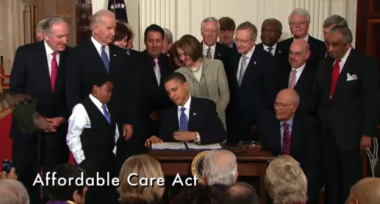 Let’s start with the president’s signature accomplishment: the Patient Protection and Affordable Care Act, which he signed into law on March 23, 2010. The film makes the claim that “17 million kids could no longer be denied for preexisting conditions.” That claim implies that these children were previously being denied coverage. But that’s not the case. It’s true that the health care law mandated that insurance companies not deny coverage to children because of preexisting conditions, and those protections are in effect now. (Adults gain such protections in 2014.) So the administration would be correct to say that the law added protections for kids with preexisting conditions. But 17 million weren’t being denied insurance before the law was passed, and 17 million wouldn’t be at risk of losing coverage if the law hadn’t been enacted. The administration also gave a low estimate and a high estimate. It said that 5 percent of children had preexisting conditions that would make them eligible for high-risk pools. That’s 4 million children under age 18. The administration then added in children with “common conditions that major insurers generally use in medical underwriting,” which brings the kids supposedly at risk of being denied coverage, or being subject to a higher premium, to 17 million. So, the administration’s 17 million figure is its upper estimate of the total number of children in the country who could, in theory, be denied coverage or pay more because of preexisting conditions if they were applying for coverage on the individual market. But with or without the health care law, many of those kids would be on their parents’ employer-based plans and not at risk of being denied or losing coverage. Others are covered through Medicaid and the Children’s Health Insurance Program. A relatively small number even had successfully obtained coverage on the individual market: The administration said that up to 140,000 kids with non-group coverage had preexisting conditions. The administration used this same report in January 2011, when it said that “129 million Americans with a pre-existing condition could be denied coverage without new health reform law.” As we said then, that number was the high estimate of those who could be denied on the individual market, but most had employer-based coverage and most would continue to get employer-based coverage. Hanks also says that “health care costs had been rising three times the rate of inflation, crushing family budgets and choking businesses,” as a graphic shows a steady increase in premium costs since 1999 well above the rate of inflation. “And [Obama] knew that he couldn’t fix the economy if he didn’t fix health care,” Hanks says. This is a bit misleading. It’s true that health care premium costs have been a concern for many years, and they’ve continued to increase faster than inflation. Since 2001, premiums for employer-sponsored family plans have gone up 113 percent, while inflation has grown 27 percent, according to the Kaiser Family Foundation, which conducts yearly surveys on job-based premiums. But the rate of growth from year to year has varied, and hasn’t always been three times the rate of growth of inflation. Nor has the health care law put a stop to such growth, as Hanks’ comment implies. Premium changes year to year have ranged from 13 percent annual growth in 2002 and 2003, well above 2 percent inflation, to more modest 5 percent growth in 2007 to 2009, when inflation plummeted. (See this New York Times chart for a good look at long-term changes in premiums.) In 2010, the rate of growth was nowhere near triple the rate of inflation: Premiums grew an abnormal 3 percent, while the rate of inflation was 2 percent. The annual reports come out in September each year, so that was six months after Obama signed the federal health care law. A year later, in 2011, the growth rate jumped up to 9 percent, three times the rate of inflation. So premiums were still “rising three times the rate of inflation,” to quote Hanks, despite the health care law. And in fact, some of the big jump was actually caused by the new law (though critics exaggerated when they claimed the law caused it all). Experts told us that the law was responsible for 1 percent to 3 percent of the growth. The rest of the growth was due to rising health care costs, and it wasn’t that surprising that the rate shot up in 2011, after a year of surprisingly low growth in premiums. The 3 percent growth rate was “abnormally low,” said John Sheils, senior vice president of The Lewin Group, a subsidiary of UnitedHealth Group that operates independently of the health care company. He told us it “would stand to reason that we’d get a boost” in 2011. The White House has argued that the health care law needs more time to play out before the rate of growth in premiums will decline, and most of the law has yet to be put in place. But so far, the law has added an estimated 1 percent to 3 percent to premium costs. The film suggests Obama refused to compromise or settle on the health care law in order to get it through Congress. It’s true that Obama stuck with a comprehensive health law at a time when it seemed the plan was in jeopardy, but earlier in the process, there was some compromise. The biggest concession was Obama’s agreement to drop the push for a controversial “public option” in the health care exchanges. But that was done mostly to appease members of Obama’s own Democratic Party. Hanks: After months of negotiations, it was unclear whether [Obama] could get the necessary votes. Some advised him to settle. He could still claim victory if he accepted less. It’s certainly true that after the early 2010 Senate election of Massachusetts Republican Scott Brown, who represented a swing vote denying Democrats the ability to squash a filibuster, the health care law was suddenly very much in the balance. And according to behind-the-scenes accounts of those tense days in the New York Times and Politico, Emanuel offered Obama a face-saving, passable health care plan and a proposal to attack a health care overhaul incrementally. Those stories portray House Speaker Nancy Pelosi — who privately derided the Emanuel plan as “Kiddie Care” — as the “steel in the president’s back” to stick with the push for a comprehensive law. And Obama ultimately did decide to press forward with a proposal for a comprehensive health care bill. But for those not as well-versed in the history of the health care debate, it may seem that Obama refused to compromise at all on the health care issue. In fact, he did. The most high-profile compromise was the decision to drop the controversial “public option,” a federally run insurance plan that would compete with private insurance companies. Obama was a staunch supporter of the public option, touting it as a way to keep insurance companies honest and to control the cost of insurance. For some who watched the health care battle unfold up close, the film’s account of events is a bit of revisionist history. “Let’s go back and remember what the general environment was,” said economist Gail Wilensky, who was head of Medicare during the George H.W. Bush administration and is now a senior fellow at Project HOPE, a health training and humanitarian organization. For most of the health care debate, which started in the House, there was very little compromise because Obama didn’t need to compromise, Wilensky said. There was an overwhelming Democratic majority in the House — which passed a health care law on Nov. 7, 2009, with a public option. A key Senate committee, however, rejected the public option just prior to the House vote — setting up a protracted intra-party dispute. When Obama backed off his insistence that the plan include a public option, that was done to appease center-right Democrats, not necessarily to woo Republicans, Wilensky said. And, in fact, no Republicans voted for the final bill. Nonetheless, Obama acknowledged there was some give-and-take to get the bill passed. Obama was even more blunt when, during an address on health care on March 25, 2010, an audience member asked why the public option wasn’t in the law. “Because we couldn’t get it through Congress, that’s why,” Obama said. “Now, I want to just make this point,” Obama continued. “This legislation is not perfect, as you just heard. … But what this is, is a historic step to enshrine the principle that everybody gets health care coverage in this country, every single person. The film leaves the false impression that President Bush had “given” away $13 billion to automakers without demanding anything in return. In fact, Bush required the automakers to produce a viable long-term business plan by March 31, 2009, as well as reduce unsecured debt by two-thirds and open their financial records to the government, among other loan conditions. The film claims the Bush bailout money was “gone” before Obama could “intervene,” but it was designed to be short-term bridge loans to help automakers pay suppliers and workers and give them — and the incoming Obama administration — time to develop long-term reorganization plans. The decision not to recoup some of the money loaned by the Bush administration was made by the Obama administration as part of the restructuring of the companies. In the film, Hanks notes the financial comeback of the industry and says, “With business booming, they repaid their loans.” But the U.S. has not recovered all of its loans and investments. About half of the $80 billion in federal aid from the Bush and Obama administrations remains unpaid. The rescue and revival of the automobile industry is one of the most significant accomplishments of President Obama’s first term. But the president’s campaign committee engages in a bit of revisionist history. Hanks: [Obama] decided to intervene. But in exchange for help, the president would demand action. The Bush administration had given the car companies $13 billion and the money was now gone. As the Bush administration outlined in a press release and detailed in a 372-page agreement, the loans carried other conditions — including demands that the automakers limit executive compensation and perks, eliminate shareholder dividends, open company financial books and records to the government, reduce unsecured debt obligations by two-thirds, and give the government veto power of transactions over $100 million. Under Bush’s interim plan, GM and Chrysler received $13.4 billion before Obama took office. GM received another $4 billion on Feb. 17, the same day that the two companies submitted flawed financial viability plans to the Obama administration, according to a Sept. 9, 2009, congressional report. The New York Times reported that both companies would exhaust the $17.4 billion by March 31 and request billions more in federal aid. Obama rejected the automakers’ viability plans on March 30, but he announced a bankruptcy plan for Chrysler on April 30 and a GM bankruptcy plan on June 1 that would allow the companies to restructure operations and receive more federal aid. So, Obama used the viability plans required by Bush to force the automakers to go into bankruptcy and reorganize — successfully completing a process that Bush started. As we reported before, the “new Chrysler” that emerged assumed only some of the $4 billion loaned by the Bush administration. In a May 2011 report, the Government Accountability Office explained that Treasury — under the Obama administration — “wrote off $1.6 billion” of the “original $4 billion loan extended to the old Chrysler” by Bush. In all, about half of the $80 billion provided under the Auto Industry Financing Program has been recouped, although the film leaves the impression that taxpayers have been made whole. Of course, it’s expected that campaign films will gloss over the facts. But at least now you know what the director left on the cutting room floor. U.S. Department of Health and Human Services. “At Risk: Pre-Existing Conditions Could Affect 1 in 2 Americans: 129 Million People Could Be Denied Affordable Coverage Without Health Reform.” HealthCare.gov. 18 Jan 2011. Kaiser Family Foundation and Health Research & Education Trust. “Employer Health Benefits — 2011 Summary of Findings.” 2011. Robertson, Lori. “FactChecking Health Insurance Premiums.” FactCheck.org. 24 Oct 2011. A Jump in Health Care Premiums. New York Times, chart. 27 Sep 2011. Stolberg, Sheryl Gay, Zeleny, Jeff and Hulse, Carl. “Health Vote Caps a Journey Back From the Brink.” New York Times. 20 Mar 2010. Brown, Carrie Budoff and Thrush, Glenn. “Nancy Pelosi steeled White House for health push.” Politico. 20 Mar 2010. Kaiser Health News. “White House Unveils Revamped Reform Plan, GOP And Industry React.” 22 Feb 2010. Project Vote Smart. Transcript: Interview with Barack Obama. PBS “NewsHour.” 23 Dec 2009. Project Vote Smart. Transcript: Remarks by the President on Health Insurance Reform, University of Iowa Field House, Iowa City, Iowa. 25 Mar 2010. Project Vote Smart. Transcript: Remarks by the President at DNC Event, San Jose, Ca. 26 Sep 2011. “Fact Sheet: Financing Assistance to Facilitate the Restructuring of Auto Manufacturers to Attain Financial Viability.” Press Release. White House. 19 Dec 2008. Sanger, David E., et al. “Bush Aids Detroit, but Hard Choices Wait Obama.” New York Times. 19 Dec 2008. U.S. Department of Treasury. “Warrant Agreement.” 31 Dec 2008. “The Use of TARP Funds in the Support and Reorganization of the Domestic Automotive Industry.” Congressional Oversight Panel. 9 Sep 2009. Vlasic, Bill and Nick Bunkley. “Automakers Seek $14 Billion More, Vowing Deep Cuts.” New York Times. 17 Feb 2009. Stolberg, Sheryl Gay and Bill Vlasic. “President Gives a Short Lifeline to Carmakers.” New York Times. 30 Mar 2009. Rutenberg, Jim and Bill Vlasic. “Chrysler Files to Seek Bankruptcy Protection.” New York Times. 30 Apr 2009. Vlasic, Bill and Nick Bunkley. “Obama Is Upbeat for G.M.’s Future.” New York Times. 1 Jun 2009. Kiely, Eugene. “Chrysler Paid in Full?” FactCheck.org. 6 Jun 2011. U.S. Government Accountability Office. “Treasury’s Exit From GM and Chrysler Highlights Competing Goals, and Results of Support to Auto Communities Are Unclear.” May 2011. U.S. Treasury. “Daily TARP Update.” 20 Mar 2012.